Well, the good news is that I have control of this website back after the technical problems that took it down last week. 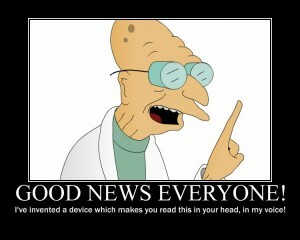 The bad news is that I am going on a trip next week and will be off-line for a couple of weeks. I mentioned kaizen (continuous improvement) at the end of my talk on ER program design. Kaizen is making things better, continuously. Basically finding and solving problems over and over again. Over time, this results in huge improvements and the evolution of programs. I’ve been very fortunate to be able to work with my colleague Dan E at Tohoku University, who is a master of kaizen. Thanks to this, our extensive reading program is several orders of magnitude better than it was when we started collaborating. At Cambridge English as well, thinking back to when we started over ten years ago the school and the classes are unrecognizable. Almost everything we do, we do better now. But kaizen does not happen automatically. It requires teachers to have the desire and the ability to make changes. It also requires a culture of development, where problems lead to solutions that are implemented across the board. Communication is essential and talking about problems with colleagues leads to better solutions. As you can see, nothing groundbreaking. The main point is that improvements are continuous, problems are dealt with as they come up, solutions are reached through communicating with colleagues and are implemented by everyone. 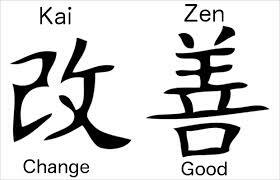 Kaizen is barely noticeable in the short term, but over a longer period the improvements are staggering. Do you have any positive or negative experiences with kaizen?